Looking for a list of past productions? Click here then scroll down to Production History. 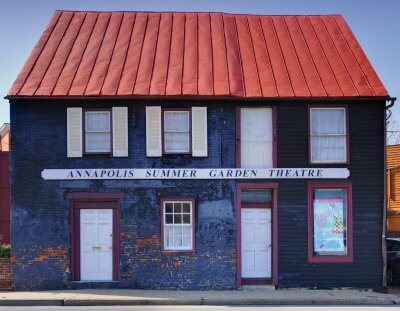 In 1965, “Olde Town” Annapolis was designated a Registered National Historic District. Restoration of many of its historic buildings began around that time. 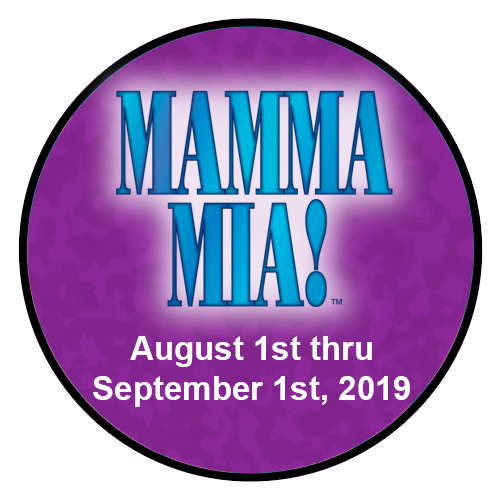 The following year a group of arts enthusiasts incorporated ASGT to contribute to the city’s revitalization and to create opportunities for theatre artists to practice their craft when other local groups were on summertime hiatus. Joan had been active with The Colonial Players and was a founder of the Chesapeake Appreciation Days and the Annapolis Fine Arts Festival. 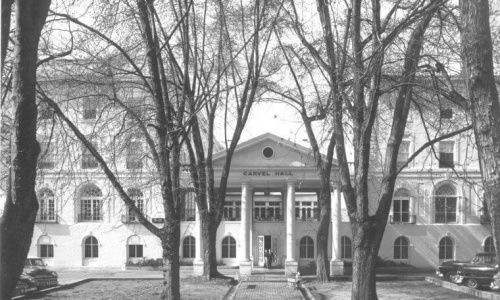 In 1966, we presented our first performance season outdoors behind the Carvel Hall Hotel, which encased the historic William Paca House & Gardens. 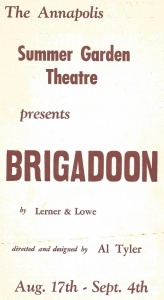 Our first productions were “You Can’t Take It With You” and “Brigadoon”. 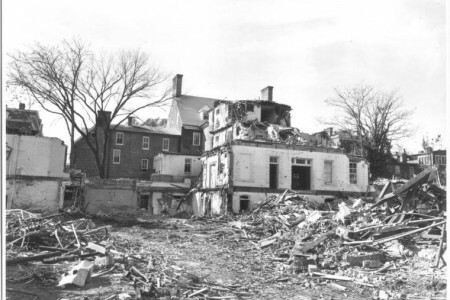 By 1967, demolition and excavation at that site was in full force, so ASGT began the search for a more permanent home. 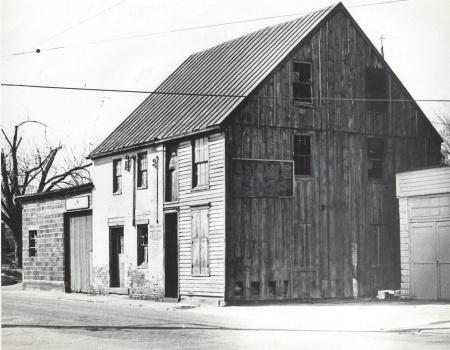 In a 1990 interview in Annapolitan magazine, Joan credited Ted & Marion Martens with identifying the abandoned Shaw Blacksmith Shop at 143 Compromise Street as a possible site. For a fascinating history of our Compromise Street property, check out this Inventory of Historic Properties Form [PDF] from the Maryland Historical Trust. The building had been vacant since the Shaw family—respected blacksmiths—had moved their business to Parole in 1960. Joan had a vision to give the site a new identity and led the effort to secure and convert the space. Meanwhile, the building had been acquired by the Anne Arundel County Board of Education as a site for their new headquarters. But concerns from the historic preservation community stalled their plans, so they rented the property to ASGT for $1/year. 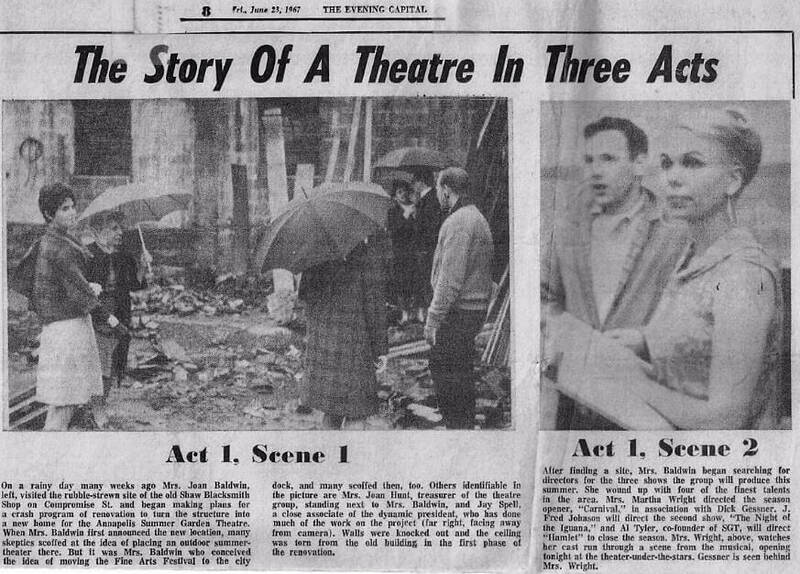 In 1967, work began to convert the property to an outdoor theatre. It took imagination and a lot of labor. Vacant for a number of years, the building was inhabited by more than a few critters, and truckloads of dirt, old horseshoe nails, and other debris had to be carted away. Ultimately, all of the hard work paid off and the vision became a reality. Our second season was staged at the new Compromise Street location. Board members and sponsors were recruited from many sectors of the local community. For many, bringing new life to the historic district was a civic duty. 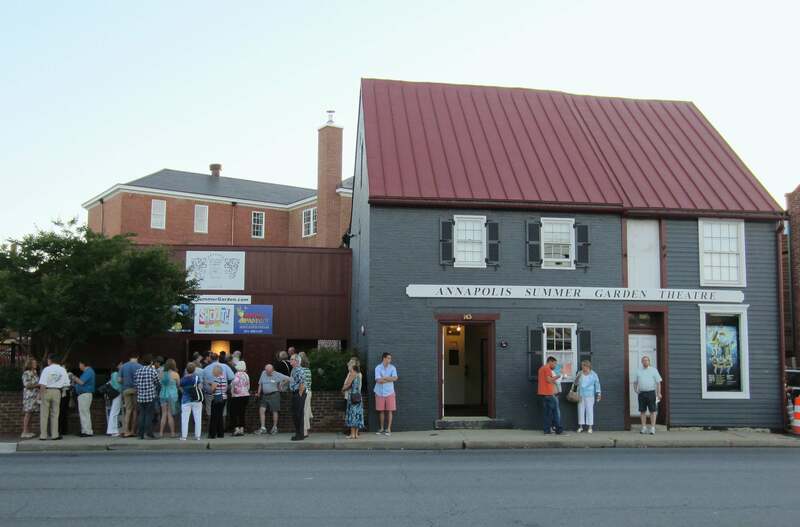 The restoration and conversion of 143 Compromise Street to a community theatre was a true community project—to restore a historic landmark, foster a cultural center at “Olde Town Harbour”, and inaugurate Annapolis’ first summer theatre. Joan was the first President and served on the Board until 1969. Ellen Moyer followed Joan as ASGT’s second President, and by 1971 the theatre had hired Roland Chambers as Artistic Director. 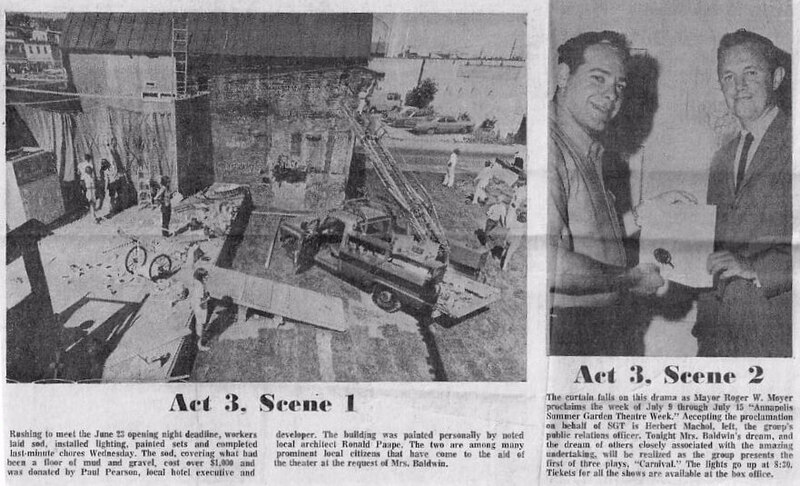 An accomplished actor, director, and set designer/builder, Roland had toured nationally and performed in the Washington-Baltimore region. His abilities and exacting standards are still well-known in the artistic community, and many local actors credit Roland with igniting the spark that led to their love for performing. 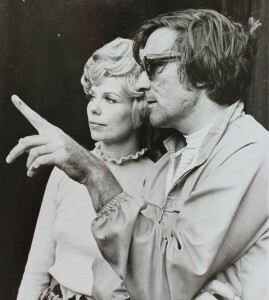 Roland Chambers, director, chats with Martha Wright, a leading performer in 1972's "Destry Rides Again"
By 1973, the Board of Education had decided to build their headquarters elsewhere and moved to dispose of the property. ASGT feared losing our lease at that time. Anne Arundel County acquired the property but had no immediate plans for the site. Mercifully, they allowed ASGT to remain under a new lease for $1/year and we continued to present musicals each summer. By the mid-1980s, the property needed many repairs that couldn’t be funded with seasonal revenues—but ASGT couldn’t secure a loan for upgrades because we didn’t own the building. County Council member Maureen Lamb intervened on our behalf and introduced a bill, supported by the County administration, to transfer the property to ASGT. After several years of negotiations, the bill passed. ASGT became the owners of 143 Compromise Street in 1990. For the next 25 years, improvements were made (largely with volunteer effort) to improve safety and security, keep up with the ravages of time, and repair damage from natural events. 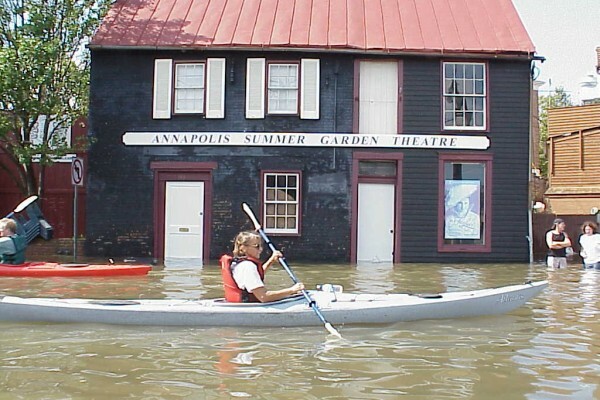 For example, in 2003 Hurricane Isabel created severe storm surge flooding in downtown Annapolis and ASGT was flooded, standing under several feet of water. 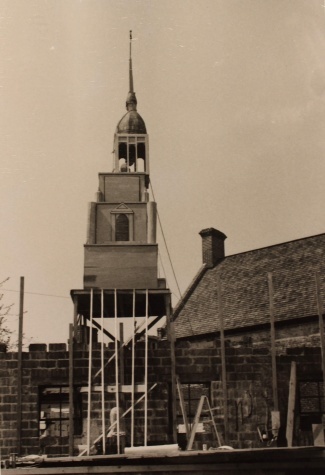 By our 40th anniversary year (2006) it was clear an extensive restoration and renovation of our landmark building was required, and the Stage/2 project was launched. See our Stage/2 page for details and photos of the renovations to-date. The ASGT organization is constantly evolving. Over the last half-century, thousands of volunteers and artists have shared their time and talents with us—far too many to list here. ASGT is ever-changing, and our current corps of volunteers stands on the shoulders of countless individuals who got us to where we are today. We’re grateful for their commitment (not to mention their blood, sweat, and tears!). Our artistic product continues to change, as well. 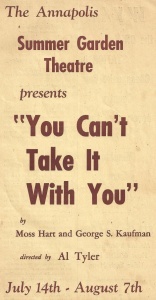 In the early years, ASGT produced a combination of musicals and straight plays. 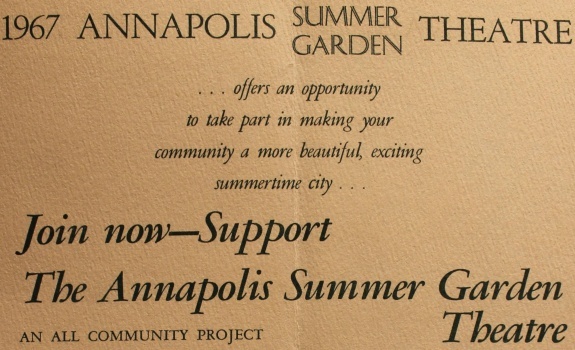 In 1969, we approached several educational institutions (Catholic University, American University, and the American Academy of Dramatic Arts) to propose a partnership to present theatre at ASGT. These proposals didn’t pan out, and ASGT continued to produce its own shows. But ASGT ended the 1969 season with debt, in part because some of our dramatic offerings were not well-attended. 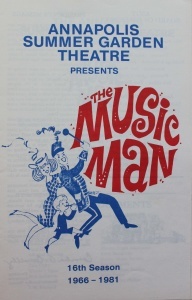 It was determined that “townspeople want to be strictly entertained outdoors in the summer”, so in 1970 we settled on a season formula of two musicals. ASGT joined the country in celebrating America’s bicentennial by bringing Independence Hall to Annapolis. 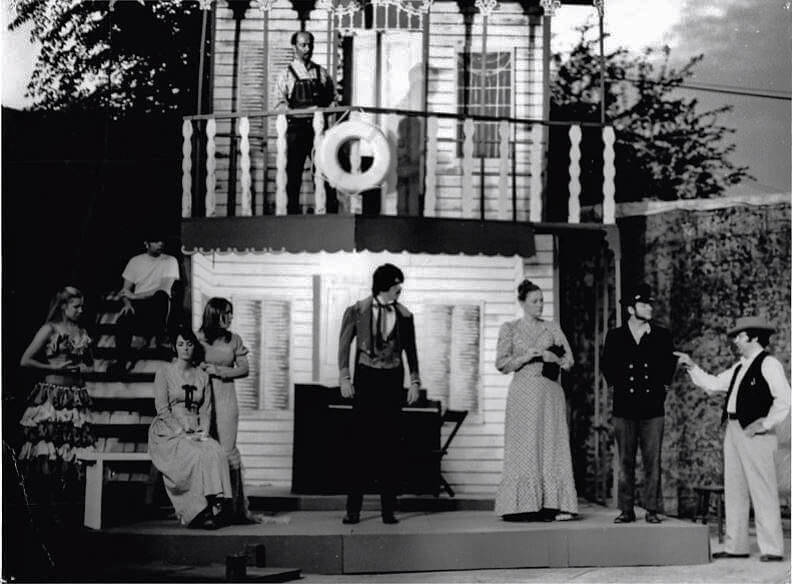 The musical “1776” was presented for the entire summer of 1975 and half of 1976. 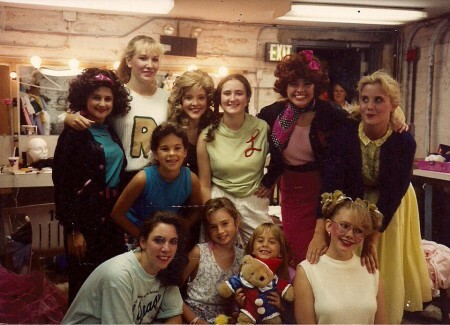 From 1985-87, we staged several productions that included roles for young people. 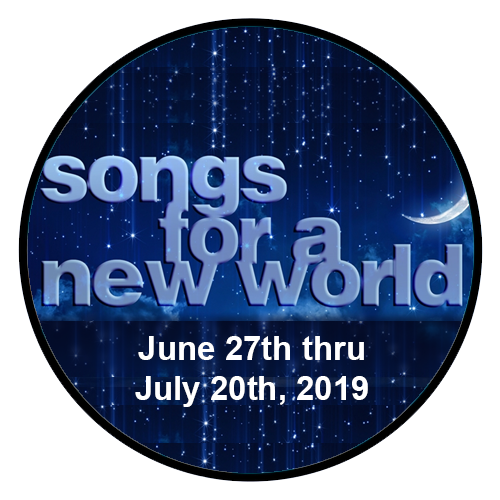 Some adults became interested in keeping the youth involved, so a youth production was written by Mike Gilles and Steve Evans with ideas contributed by Sue Centurelli, Jill Compton, and Bobbi Smith. 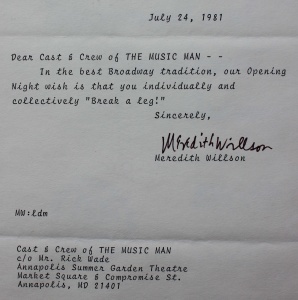 The Talent Machine was first staged in 1988 and continued through 1993. Performances took place on weeknights, so during this time the theatre ran seven days a week. 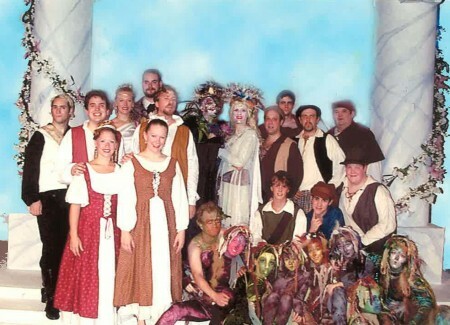 Additional weeknight youth productions were staged from 1994-1997. In 1998 we again changed our season formula, adding a third weekend show and shortening all the runs to five weeks. For the next eight years, we presented Shakespearean plays in the middle slot. In 2006, ASGT shifted away from Shakespeare and presented the satirical comedy musical “Urinetown”, which had been on Broadway just two years earlier. 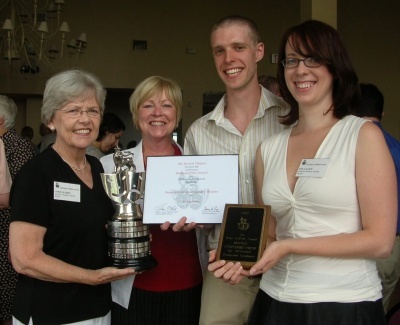 The shift toward more contemporary musical theatre was a success, and ASGT was awarded the prestigious Ruby Griffith Award for All-Around Production Excellence in 2007. 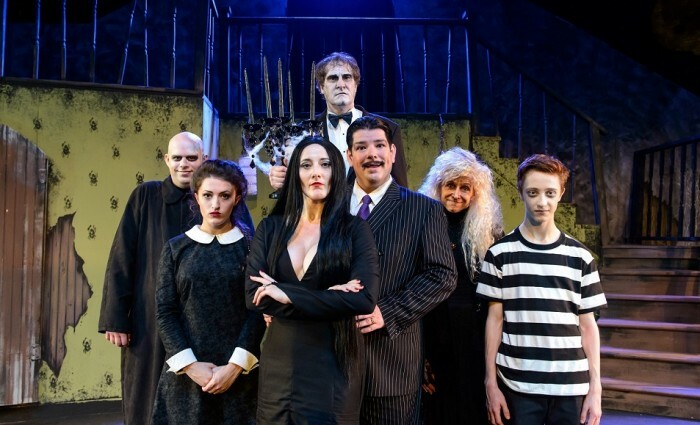 Since 2006, all three shows have been musicals—including many recently produced on Broadway and some off-Broadway hits. Show selection is the very definition of a balancing act, but we aim to be forward-looking, brave, bold, and diverse in our selections. That said, we continuously assess the interests of our artists and patrons in order to schedule seasons with the widest appeal. Outdoor theatre has always presented many challenges. Of course, we deal with weather: heat, rain, ice and snow, hurricanes. Noise from the street, boat engines, and boat horns are a unique challenge. 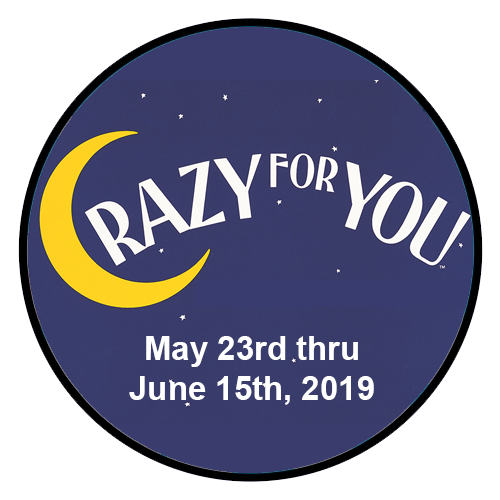 And sometimes there are critters: opossums that walk across the stage during intermission, moths that fly into an actor’s mouth mid-song, and ducks that lay eggs in the theatre each spring. But the talent of our artistic community, the magic of our intimate outdoor space, and our deep roots in our local community are undeniable. For some people, it’s just not summer until they’ve seen a show at ASGT. Through the last 50 years, ASGT has kept moving forward in new and exciting directions with the help of thousands of volunteers. We look forward to what’s to come. Here’s to the next 50 years!